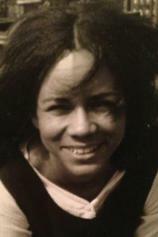 Kathleen Collins, who died in 1988 at age 46, was an African-American playwright, writer, filmmaker, director and educator from Jersey City. She was the first black woman to produce a feature length film. WHATEVER HAPPENED TO INTERRACIAL LOVE? is a never-before-published collection of stories from African-American artist and filmmaker Kathleen Collins, whose stories masterfully blend the quotidian and the profound in a personal, intimate way, exploring deep, far-reaching issues --- race, gender, family and sexuality --- that shape the ordinary moments in our lives. Her work seamlessly integrates the African-American experience in her characters’ lives, creating rich, devastatingly familiar, full-bodied men, women and children who transcend the symbolic, penetrating both the reader’s heart and mind.